Performance appraisal time have generally been a period of anxiety, worry and emotional upheavals for many employees and managers, and by extension their family. Many companies are doing away with the bell curve now, and even if the bell curve was done away with altogether, appraisals are not an easy time for many. What makes it so? Is it that we do not value asking for or receiving feedback? Could it be fear of power or authority? If we understood how to negotiate our way around such issues, perhaps appraisals won't be stressful. How do you view the idea of work and performance Appraisals? McGregor's Theory X and Y, developed way back in the 1960s, talked of how one views work and workers. To use the ideas quite simplistically, if your approach to work is more the Theory X kind, appraisals do tend to be very stressful times, and for the Theory Y kind, getting objectivity into the system is stressful as well. While the research has come a long way from there, the idea holds even now. Systems have moved from top-down to 360 degree appraisals, target-driven models to attitudinal assessments, self-set targets and learning models. There is no one answer, really and realities differ from company to company. Across all of them, If you feel you are an active and important partner in your performance appraisal process, and work at it through the year, it can become more of a feedback tool for improvement and learning, rather than a stressful, anxiety-provoking period. At its heart, performance management is about feedback, and the firm belief that all systems need feedback to be able to work through any issues and improve. Making this feedback as structured, objective and useful as possible has been the goal of any appraisal system. Keeping the objective in clear sight that appraisals are about feedback, and leaving other considerations aside, can help it become easier to handle. In a hierarchy-sensitive scenario,it is tempting to think that all the power vests with the one giving the feedback, though in reality, there is a shared power and shared responsibility. Whether one is giving or receiving feedback, it helps to understand Who are the people in the process, get a sense of how they think and act. Before starting, it would help to think through What is the feedback about, and keep it quite specific to the matter at hand. Being evidence based and objective helps. Knowing the 'What' is also key to be sure that the feedback is not generalized or personalized, leaving either party feeling blamed or victimized. 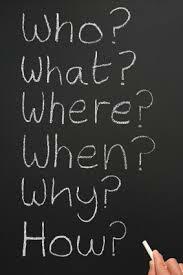 The answers to Who and What, leads to the When and Where of the discussion, including what could be oral and what written, whether it is a 1:1 meeting or a group session, if it is specific to a person or more generic. Timing decisions flow from these as well: Which day? Just before weekend, or first thing Monday? In the cafeteria, or a meeting room? Over a phone call or in-person? Above all those processes, the Why of the session is really important to understand and communicate. If it can be framed as a joint objective, or something that is of use to both parties, chances are it will be understood and appreciated. Framing appraisal discussions in the context of development, teaming and competition can help keep the discussion less stressful. Finally, the mechanics or the How of the process has three basic components: Know what you are talking about - keep the facts and figures at hand, be sure the evidence supports the statements. Second, do remember to sandwich negative commentary with more positive statements. And third, keep it interactive - allow for interactions, even confrontations. When on the receiving side, it helps to think of yourself as an active participant of the process, and come with your own understanding, your data, your conviction in your ability to influence, and your awareness that you are valuable. In the long term, companies that are able to balance internal power balances, employee profiles and networks tend to succeed. However, in the short-term, and when there are critical events, the perceived power and vulnerability influences how one feels. Imagine being in a .com company in the US in the heart of the .com bust. Conversely, in the boom period, the power balance shifted quite considerably to the staff. Where performance management systems have been to assess, grade and reward or regulate employees based on their performance, this idea of relative power sets the context for the discussion, and the emotional context of the participants. Being aware of one's power, and one's vulnerability can help prepare for appraisals and other such events. It can help us think more clearly including preparing for possible negative consequences, and that increases our ability to engage in conversations. stress & anxiety you might go through during these times. If you are a first-time manager, and find it hard to conduct such meetings, you might want to seek out help on how you can do this better. If you are giving negative news, it can especially be hard. If you are expecting difficult discussions, or you got a very different appraisal than you expected, and feeling yourself emotionally churned up, you might want to meet to get clarity. Work place appraisals have been a subject of great interest for counselling related research and work, given its importance to the work force. The following links may help you get started on more reading on the subject.